While designing this course there were a few factors that we considered crucial to the success of such a program. After completion we want everyone involved to understand very clearly what yoga is how it works and how to communicate that experience in a led class format. So the goal of these courses is to help everyone to first practice yoga with the confidence that on their own they can calm their mind, relax their body and experience pure consciousness. Then to be able to teach in a way that shares that personal connection. Therefore enough time and guidance for personal progress to happen has been woven into the schedule. This course is very special because the various components create a synthesis which is rare in TTC taught internationally these days. 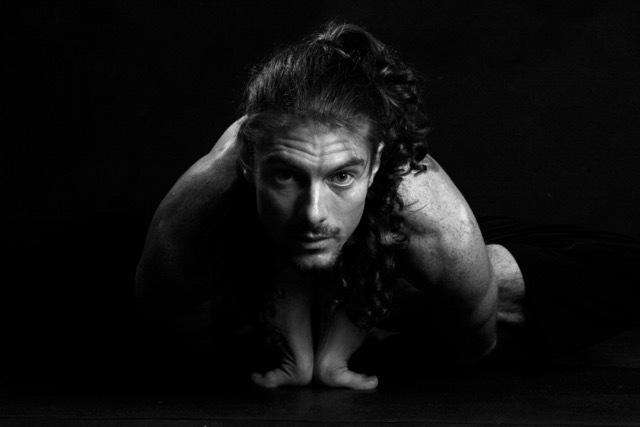 In part one the asana practice will be explained and verified alongside the anatomy section. Similarly in part two the practice of asana, pranayama and especially meditation will be examined and explained in parallel with the study of yoga philosophy. For part three we will look at individual aspects of asana practice like hip openers, inversions or backbends and begin to create mini sequences. Having opened up the possibility of creativity in asana to individual interpretation to help understand how to express that we will look at the art of teaching in the Theory Section. Is a registered school with the Yoga Alliance. This teacher training program is internationally accredited and recognised as valid qualification for 200-hr Yoga Alliance Registration. The 200-hr Teacher training program includes 30 days of training scheduled in three separate 10 day intensives. The combination of contact hours together with co-ordinated home study and practice (prerequisite reading, report and asana and pranayama practice) make this course exceed greatly the minimum requirements. The course will run one month. With one day holiday every week. During the interval between classes there will be time for meals and homework.